CES 2017: ASUS ZenFone AR is the world's first smartphone with 8GB RAM. 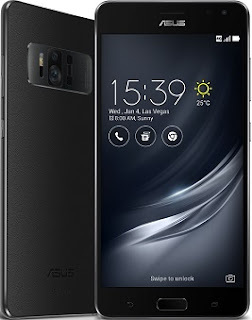 ASUS Chairman Jonney Shih today unveiled the ASUS ZenFone AR smartphone during the Zennovation press event at Caesars Palace in Las Vegas. ZenFone AR will be the world's first smartphone that is both Tango enabled and Daydream-ready. Tango is a set of sensors and computer-vision software by Google that enables smartphone augmented reality. Daydream is Google's platform for high-quality, mobile virtual reality and supports Daydream VR apps.